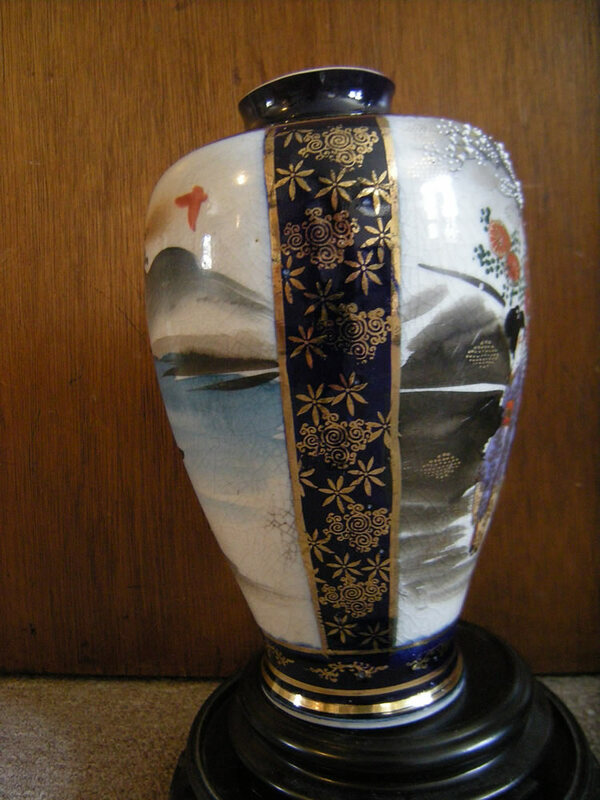 I'm so far behind with planned posts for this blog as I still have over 1000+ pieces in my collection I have yet to photograph and write about, and since I just made several auction purchases, I have been posting my most recent acquisitions this past week, this antique Japanese Meiji period cobalt blue Satsuma vase signed with the mark of Shozan ( 尚山 ) is among those recent additions to my growing collection. 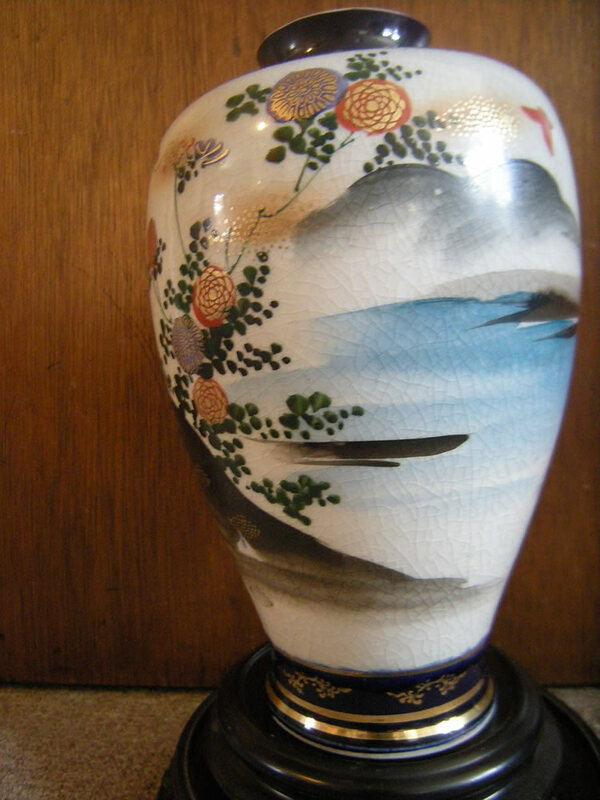 This cobalt blue Satsuma vase is hand painted with Geisha and a child with Mount Fuji in the background. The base is marked with the signature of Shozan. 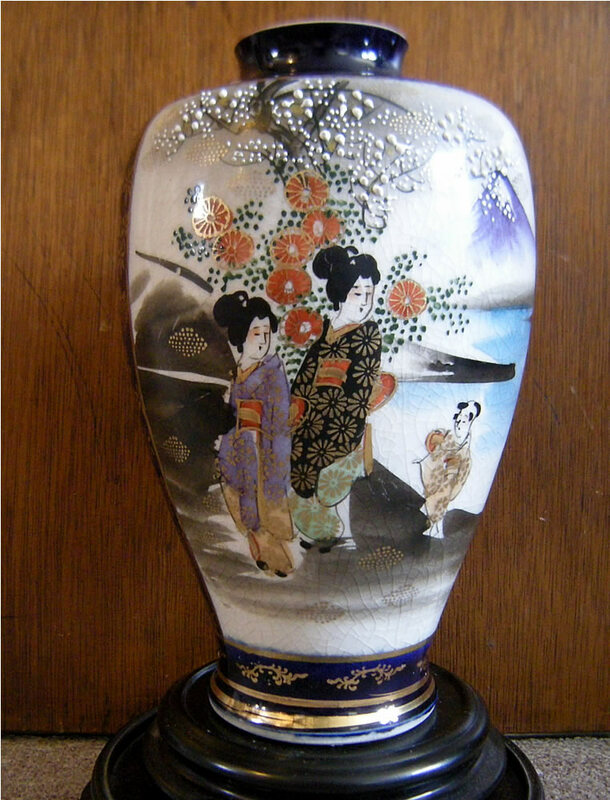 尚山 It is late Meiji period, circa 1880s to 1900 and is approx 8 1/2" tall. The reverse panel shows the landscape and water below Mt. Fuji. It's worth mentioning that the fake "expert" known as Gotheborg identifies the Shozan mark 尚山 as Shuzan 珠山 which are not only two entirely different and separate identities with completely different marks, but that the kanji for Sho & Shu are not even remotely similar nor are they interchangeable. 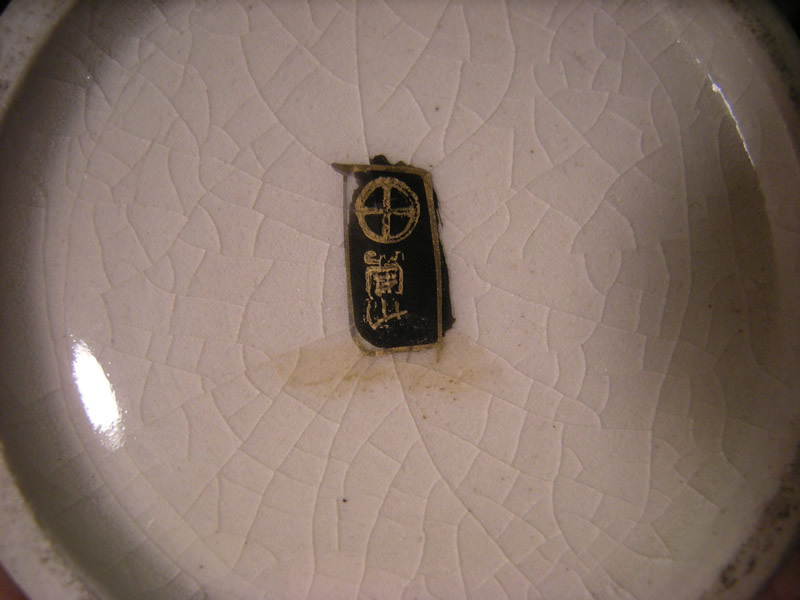 When it comes to Japanese porcelain marks, anything read on Gotheborg should be taken with a grain of salt and treated with skepticism since an overwhelming amount of the information contained therein is completely inaccurate. 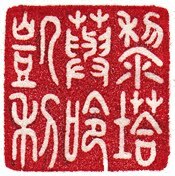 I collect Asian art of various forms and this blog serves as a web log for me to organize and keep documentation and notes, etc on the various pieces in my collection. I encourage and welcome feedback, especially information relevant to the individual works, particularly if I need assistance with identification, translation, etc, or am in need of correction. Why is There a Hole Instead of a Hand? The Mystery of Kwan Yin's Missing Hand. All images, text & translations, etc ©2014 Lita Xú Líng Kelley.